my a5 (2017) batt cmi 5hrs on full charge. out of warranty, samsung quote 300 to repair. might as well buy new hp. too bad missed 150 lazada voucher. switching to micro-usb adaptor from type c is about cost savings. The same goes for honor 8 and honor 8X which switched from usb c to usb micro. This will drop the price. Anybody receive their 150 voucher already? Supposed to only receive the voucher 2 weeks after u have received your phone. right now it's still easier to find usbmicro charger than Apple or USB c. I went funeral recently ...most of the phone plug there are usbmicro. Actually would like to ask, fast and normal charge what is the difference. Of course for fast charge, batt will be full level at a shorter time. feel the whole phone very thin and filmsy, maybe not glass back? Well tested my A7 so far so good. Lighter than my redmi note 5 but no double tap to wake ON and OFF screen. Download apps from playstore for various double tap apps all work only for screen OFF. Turn ON back still need to press the power button. End up I uninstall it. No different by pressing the power button OFF n ON to wake up the screen. Also less 1 app running background. 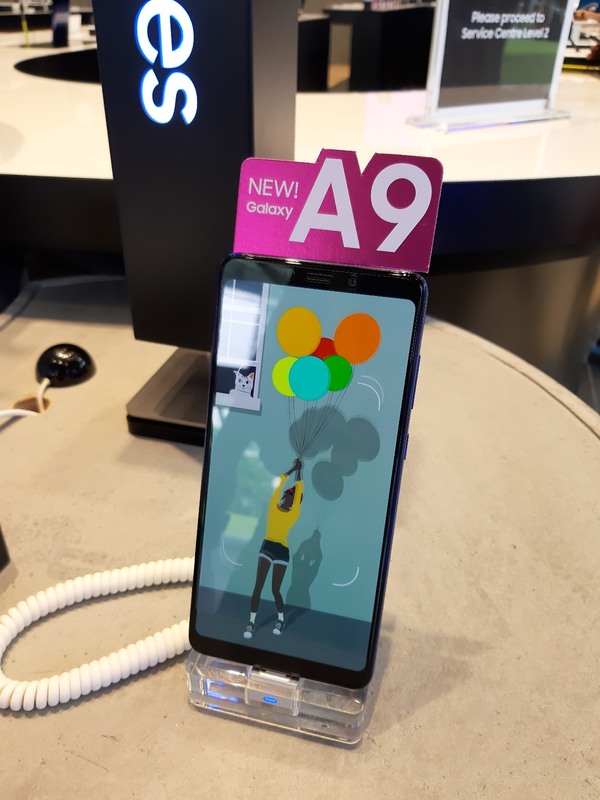 A9 is glass back, same as A7.